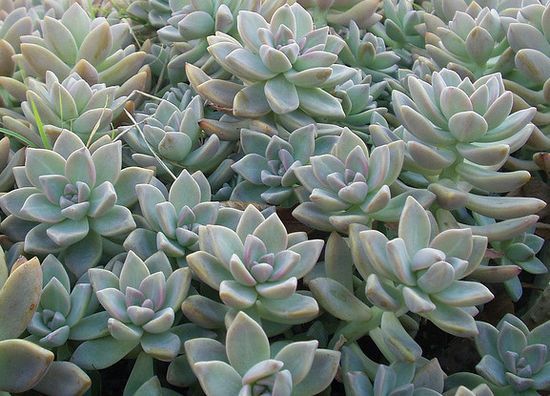 The Sedum genus contains hardy perennial leaf succulents that range in height from 5 to 60 cm (2 to 24 inches). Their size and their trailing nature makes them ideal for many purpose in the garden, such as in rock gardens, gaps in walls, and for edging. There are many species in the Sedum genus so blooming time varies from the start of summer to early autumn. Flowers are usually star-shaped and white, pink or yellow. Some common names for Sedum include Autumn joy stonecrop, Gold Moss, Worm Grass, Wall pepper, Ice Plant, Orpine, and Stonecrop. Specific information on growing Two-row stonecrop / Sedum spurium. Common names: Gold Moss, Ghost Plant, Spreading Stonecrop, Prick-madam. Stonecrop: Goldmoss; White; Thick-leaved; Reflexed; Blue. Worm grass, October Daphne. Scientific Name: Sedum acre; S. anglicum; S. spurium; S. divergens; S. spathulifolium; S. spectabile. Life Cycle: Hardy perennials, some annuals; Succulents. Height: 2 to 20 inches (5—60 cm). Matt-forming through to small shrubs. Flowers: Species dependent: Beginning of summer to early autumn. Flower Details: Yellow, white, pink. Star-shaped. Small. Usually have five petals (some species have four or six). Twice as many stamens as petals. Terminal clusters. Foliage: Usually succulent, but also herbaceous members. Leaves store water. Alternate cylindrical leaves. Rounded at the tip. Grey, green, turquoise. Sowing: Surface. Germination time: one to four weeks. Spacing 6 to 24 inches (15—60 cm) depending on species size. Seed: Method 1: Seeds should first be sown into flats in the autumn. Next sink the flat into the ground in an area that offers shade, preferably close to a wall that faces north. Provide a glass/plastic covering. Keep an eye on the flats to ensure that the soil remains moist. Bring the flats indoor at the beginning of spring and keep at 60°F (16°C). Transplant seedlings to their final location following the last frost. Requirements and care: Full sunlight. Good drainage. Soil pH 5.5 to 7. Some species (e.g., Sedum maximum; Great Stonecrop) perform best in moist soils, yet other species are succulent, maintaining water in their leaves, and are susceptible to fungal infections if overwatered. Cut back to the ground in autumn. Propagate: from summer cuttings, or by dividing in the spring in cooler areas or the autumn in warmer areas. 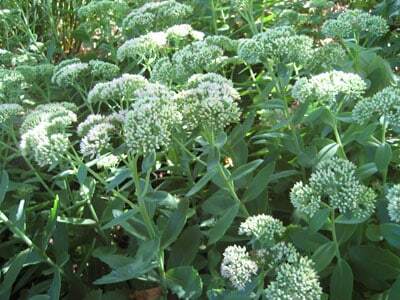 Miscellaneous: Some species, especially Sedum reflexum (Prick-madam) are used as a salad leaf/herbs. It is probably easiest to start Sedum genus members off in the spring. Sow Sedum seeds in pots, put in a plastic bag, and refrigerate for three weeks. The pots should then be sank into the ground in a shady part of the garden and covered with glass. It should take from one to four weeks for the seeds to germinate. Transplant the young seedlings at a distance of 15 cm (6 inches; small Sedum varieties), 30 cm (12 inches; medium) or 60 cm (2 feet; large Sedum species) apart. Sedum should be grown in a sunny part of the garden that has good drainage, and a moist slightly acidic (pH 5.5 to 7) soil. Ghost Plant Sedum by gilintx. 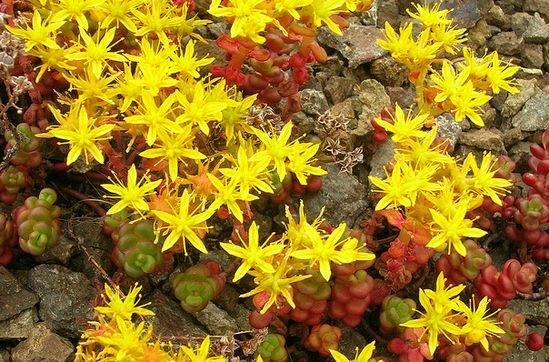 It is very easy to care for Sedum species such as Gold Moss, Stonecrop, and Worm grass. They should be watered regularly to keep moist, but do not allow the soil to become drenched. At the end of the season, in the autumn, cut back to ground level. 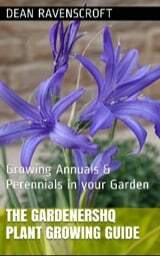 If you require more plants then propagate by either taking cuttings in the summer, or dividing the plants in the spring or autumn.